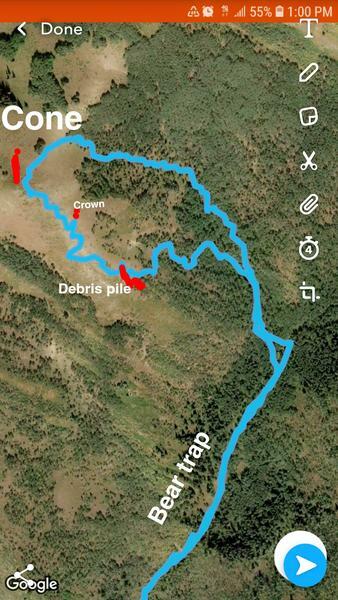 Remotely triggered a slide off the east face of the cone from about 15 feet away. 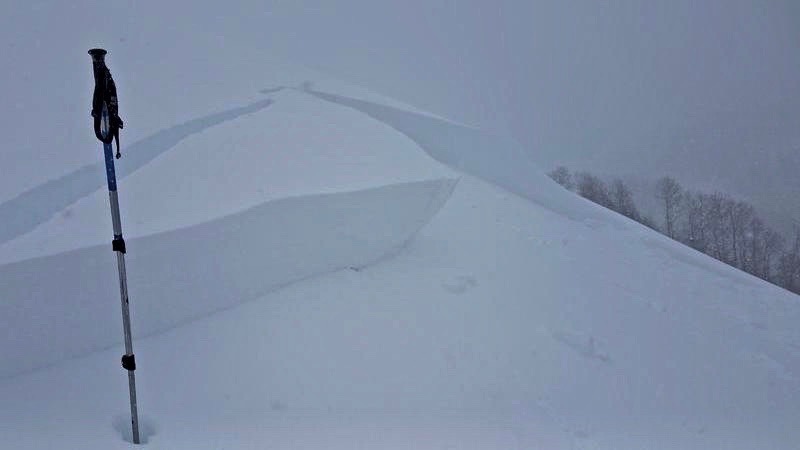 It happened on a small rollover that had a lot of wind deposited snow on it. I was not aware of anyone else in the area at the time, but did a hasty beacon search just in case. The slide was larger than I would have expected there.